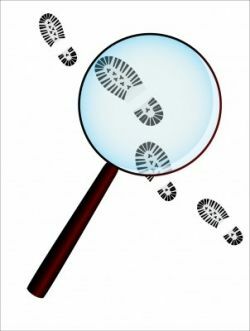 Tips to help Mystery Writers Finish and Perfection Their 1st Novel! If you are like me, the desire to write a mystery novel is very strong. For the past few years, I have been learning the craft of mystery writing. It is an amazing journey of discovery and self-accomplishment.... and a journey that can be difficult without some help and guidance. Too many new authors just do not know where to begin or how to perfection their novel. I know the feeling, I have been there too. Accordingly, I thought it would be great to share my knowledge of writing mysteries, ranging from helpful tips, recommendations to personal opinions. What is a Mystery Whodunit Novel? A Whodunit is a complex, plot-driven variety of the mystery genre in which the story is primarily focused on a puzzle, which is usually a murder. 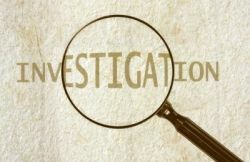 It contains a closed circle of suspects with means, motive and opportunity for the crime and a detective, either amateur or professional, who comes to investigate and, with the help of clues and his power of deduction, to discover the real perpetrator. 1) The crime must be believable and accurate. Credibility is very important in today's market. 2) The criminal has to suit the crime. If not, the reader will feel cheated. 3) The detective or sleuth needs to solve the crime by using believable and (mainly) honest forms of detection. 4) Ideally, the murder has to occur in the first 50 pages. This creates a purpose for the story. 5) Be fair with your readers - lead them to the solution of the crime methodically, one piece at a time. Use luck or chance very scarcely. A whodunit novel is all about the power of deduction. 7) Research your information very thoroughly. Do not assume anything. 8) Create the detective (or sleuth) with care. To readers today, the protagonist is as important as the story itself. 9) Incorporate plenty of surprises, twists and turns for the reader. Use plot devices, clues and red herrings. Things must not be what they seem. 10) Do not use the "least likely suspect" to be killer for every book. Vary your tactics. 11) Resolve all the subplots by the end of the novel. Do not leave anything hanging. 12) Come up with a clever ending. You wish to leave your reader fulfilled or shocked. 1st things 1st : Where do I start? You feel lost? 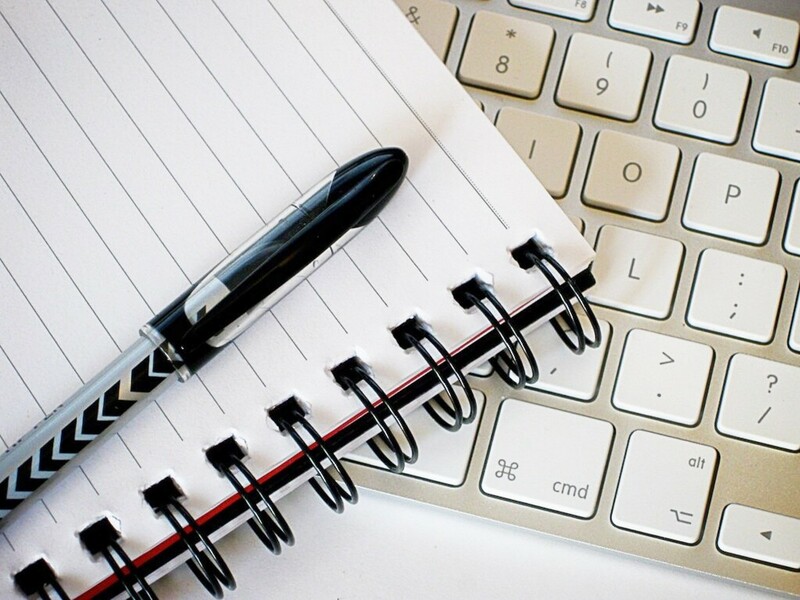 Here are a few pointers to lead the way to novel writing. Learn the most that you can about the craft of writing. Browse on the internet. There are numerous interesting websites from already published authors who want to share their knowledge. 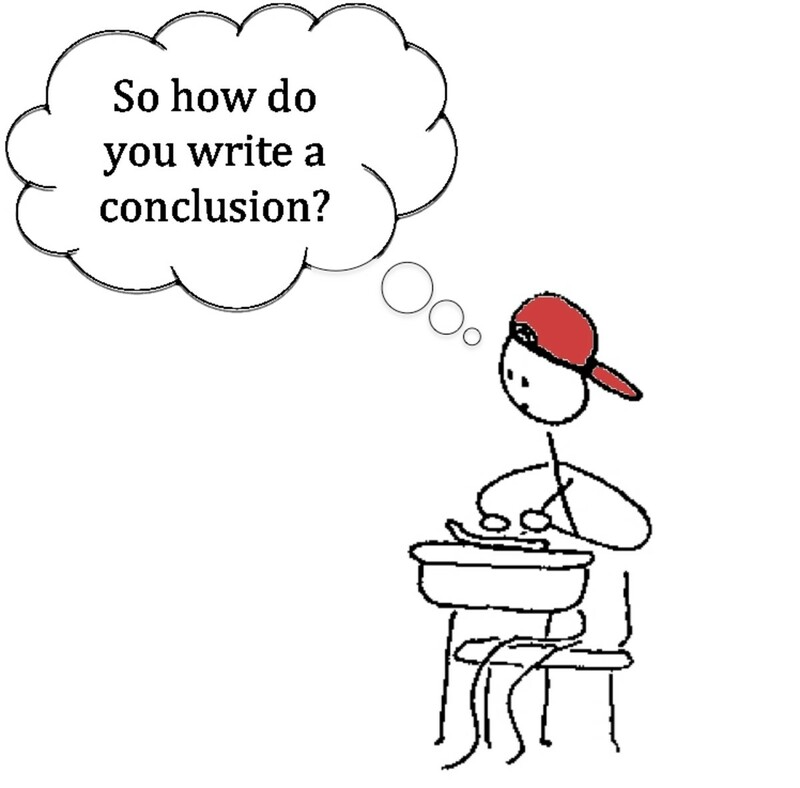 Consult 1, or preferably 2, how-to-write textbooks on writing. 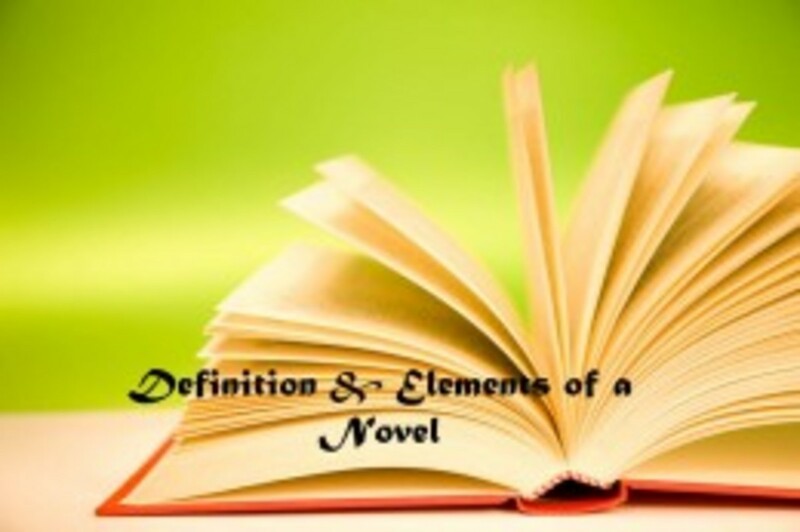 This helps you to discover the many important steps you need to do to achieve a written novel. Also, they help to guide you through the planning and writing process, and many other things that go in between. (This is what helped me the most to get on track in achieving my goal). While writing your 1st novel, experiment with as many tools, techniques and tricks as possible; learn what works best for you. Be open to new ideas. This is an important stage in your development as a writer. Read as many novels as you can. Analyse the book while reading. Think about what you like and why, or what you dislike and why. Learn how the authors uses clues, red herrings, and characters. As you discover the world of writing, you will not look at a novel the same way again! When writing your first novel, from the planning to the writing process, learn your strengths and weaknesses. Slowly and gradually concentrate in improving your weaknesses. By targeting your weaknesses, you will be more able to improve yourself more effectively and rapidly. Continue to learn. Stick to your writing schedule. Believe in yourself. And most importantly persist. "Writing and Selling your Mystery Novel: How to Knock 'em Dead with Style!" - All-in-one resource how-to-write guide for beginner mystery writers. This book has been my Bible for writing my mystery novels for the past 3 years and I still use it for ideas, inspiration and to get back into focus. Ephron is a best-seller mystery author; she takes the mystery out of the writing process, making it less daunting for beginners and more efficient for experienced writers. This book contains four sections: Planning, Writing, Revising and Selling. It introduces to the newcomer about the whole writing process while giving advice and insight for the mystery genre. It contains numerous examples from different authors and several interactive worksheets to help you understand and practice what you learn. She helps to construct interesting, twisty and effective plots to keep the readers guessing, and to conceive suspects with great means, motives and opportunities. It is an excellent, comprehensive tool for someone just getting into writing who could benefit from an all-in-one resource book, with the bonus of being specific to the mystery genre. I highly recommend this book as your first writing manual. Use this book to learn the basics, to plan your novel and to write your 1st draft. Then go deeper with "Don't Murder your Mystery" and "Self-Editing for Fiction Writers". "Do not forget that a book does not write itself. You may surround yourself with the best tools, the best courses and the best coaches, but you still need to write the book. It takes some effort, hard work and persistence. Keep at it!" 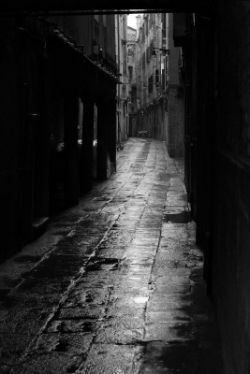 Get Out of the Dark Alley: How and Where Do You Get Insightful Ideas? 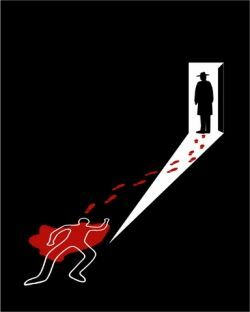 What is interesting in writing a whodunit is that your story has an added component that most novels do not have: a murder. And I use this fact as the starting point for my novels. That is what I really do! I start by finding a motive, a victim, or a killer. I look around in newspapers, TV, radio, or just what I have in mind for the initial idea. Sometimes, the idea just comes to you and you know that this is the starting point for your next story; you feel that there is something there to work on. Who? What? When? Why? Where? and How? Think about your idea from several angles. Try to think like the murderer. Get into your antagonist's personality, searching for a motive and his past. Think about your victim, his family, and his past. Think about the murder scene. And from there, things just unfold. Was the murder accidental, on the spur of the moment? Or was it carefully planned? Was the killer seeking revenge? Would the killer prefer to kill his victim with his bare hands, or with a gun? What is the relationship between the murderer and the victim? How did the killer escape? What is his alibi? I make a short outline of my killer, starting from his childhood and ending with the scene of the crime. I also make a timeline, planning his movements step-by-step from the moment he decides to kill his victim to the actual murder. I then take the ending of the murderer's outline and look at the scene of the crime from the detective's point of view. I enumerate various possibilities for clues and suspects, weighting their purpose and their interest. The trick is to put all of your ideas on paper, whatever they are. One train of thought will lead to another until you have found what you are looking for. And then suddenly an image will just click and make you say: "That's it!" Of course, you won't use most of your ideas. But the important thing is to find the "great" idea, an idea that is ingenious, motivating and yours. And do not be surprised if your final idea is completely different than your original idea; it often happens to me. Also, keep in mind that maybe your first try at brainstorming may not bring anything relevant, but do not give up. Pick something else the next day and repeat the procedure. For me, it takes a few weeks before having a satisfying outline. I can never figure out the many important elements of the story in just a few days, so do not make the mistake of expecting an outline in one day. Do not hesitate to use numerous techniques during this process, such as brainstorming, speedwriting, mapping and visualisation. As questions get answered, the story takes form bit-by-bit and from there I can easily develop my antagonist, the victim, the suspects, etc. So, in a short time I have a good outline for my story and I am ready to write my 1st draft. Always ask yourself: What if? Why? Just by asking these questions, numerous ideas will come to you. Do not forget to write them down. There are many books on how to revise and edit your manuscript , but this is by far my favourite. This book complements very well with "Writing and Selling your Mystery Novel" mentioned above. The author, Ms. Roerden, a writer and an editor for 40 years, is definitely well qualified to teach others the tricks of the trade and give us insights on how to look at your work from the perspective of the publisher. It identifies potentially fatal manuscript errors, suggests techniques to improve your novel, demonstrates how other writers use them, and adds guidelines if you still intend to use a technique that's not usually recommended. Even though the lessons can be applied to any type of fiction, what is wonderful about this book is that this self-editing book is focused for mystery writers, which is what you need. Easy to understand with crucial points listed at the end of each chapter. The book discusses the pros and cons of using mystery and suspense elements, pacing, prologues, creating a hook and completing the cycle of hints, red herrings and resolution. If you want to have a shot of being read by publishers, this is the book that you will definitely help achieve your goal. "Writing your 1st draft is a crucial step in finishing your 1st novel. Write it from beginning to end, without stopping to edit or to revise. Do not linger to write perfect prose and great dialogue. Keep it simple, as the story unfolds in your head. Take notes of changes in a notebook to keep for later." File, File, and File some more! For Any Mystery or Crime Novelist, Compelling Ideas and Information is a Must! A few years ago, I decided to get serious about writing mysteries. And, consequently, as many writers do, I started to carry around my little notebook to write down my ideas. Soon after, I realized that this process was not enough for me and I decided to go a little further. You see, I classify my ideas into categories. Each category has its own file. Instead of keeping my ideas all mixed-up in notebooks, I prefer to write each idea individually on a piece of paper. And once in a while, I sort them out by subject and place in the correct file. I have a file for "murder scenes", "methods of killing", "clues", "motives", "dialogue", "finance", "law", "miscellaneous", and many others. It may seem like a lot of work, especially at first, but I have found it very useful over the years. Actually, it is quite simple, really. I do not take notes on obvious things, such as "killing someone with a knife". I write down interesting and original things that I would not usually think about. I also take note of things that I do not really know a lot about, such as finance. When I hear some catchy phrase, I write it down. When it comes time to plan for my next book, I take out a few files, put them on my desk and rummage through them. And voila, in no time, I have found interesting subplots, original clues and thrilling twists and turns for my story. They are also handy when I get stuck while writing a story. Instead of taking me days to find an idea to get the story back on track, I just leaf through my files and find an idea in no time. All in all, I find it a very convenient system. "The Weekend Novelist Writes a Mystery" - Another great how-to-write guide book! This book is an interesting alternative to Hallie Ephron's "Writing and Selling your Mystery Novel" as your first how-to-write guide. Do not be deceived by the title: this book applies to both full-time and part-time writers. What is interesting about this book is that it is a step-by-step program that walks you through the entire writing process, from beginning planning the story to a completed polished novel. Along the way, both authors teach you the trade secrets of quality detective fiction. The author covers subjects such as: why you must create your killer first, the tricks to writing suspenseful dialogue and why you should not build your book around chapters. The book also includes plenty of special techniques from a few well-known mystery authors, such as Sue Grafton and Raymond Chandler. It offers a different perspective on how to write a mystery novel from the manual of my 1st choice "Writing and Selling your Mystery Novel" mentioned above. They both complement each other very well. Readers today demand novels to be accurate and realistic. So, if you are not sure about a certain information or procedure, it would be very important to research this information from reliable sources, such as textbooks, up-to-date manuals, experts, or even the internet. Consult manuals or textbooks written by well-known authors or experts of the subject in question. Take the time to look at reviews and comments, especially those from experts of the specific field or from other authors. If many reviewers state the information is reliable and trustworthy, then the chances are that it is. Please be very careful when researching information on the internet. Choose your websites carefully. Even if the site seems reliable, it could possibly not be accurate. Try to choose websites from well-known organisations, such as the FBI, or websites made from professionals. If you are not sure of the source, try to find the information on another reliable website (or other source) before ascertaining its accuracy. Go to the library to consult academic books or encyclopedias. Also, do not be shy of asking experts directly, especially when it comes to complex questions. Many experts would be glad to share their knowledge with you. As a bonus, you could ask questions directly (something that is not possible with a textbook). "Do not hesitate to search the internet for advice on writing. Try to learn the most that you can about the craft of writing. The more you are informed, the better. You will be better equipped and increase your chances of success. Learn the basics, learn the many ways to do things and try them out. Learn what works best for you. And do not forget to believe in yourself." Invest in Your Craft: Surround Yourself With Useful Resource Books! 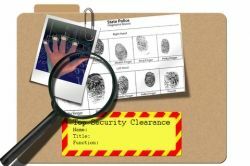 Mystery novels are interesting in so many ways, and one of the reasons is that they require some knowledge of different fields, such as crime investigation, forensics, poisons, and police procedure. Visit my lens "Useful Resources for the Mystery Writer" for the list of my favourite resource books. Well, I would've never thought...! Interesting Plots Devices, Essential to a Mystery Whodunit Novel. From Wikipedia: "A plot device is an element introduced into the story solely to advance or resolve the plot of the story." Here below is a list of common plot devices specific to the mystery genre. - "No one ever notices a servant..."
Keep them in mind when planning your story. It may come in handy. You can also complete your own list of plot devices and refer to it when planning your next novel or experiencing writer's block. "When you got the basics of writing covered and learned from a few sources, it is time to write that novel. Do not spend too much time learning and researching. You will learn a lot from writing your 1st novel. It may take some time, but tell yourself that this is an important stage of your writing career. Learn what works for you and use the tools and techniques that you have acquired. Write your novel and polish it step-by-step." Of course, a whodunit mystery would not be possible without clues or red herrings. It is one of the major parts of the story. Each clue has its own purpose and must be chosen wisely. Some of these clues will probably be red herrings. Do not hesitate to take a look! Do not have enough? - See below other interesting choices of how-to-write books on mystery writing. Yes, I found this lens insightful and interesting. No, I found this lens not helpful. SquiDirectory - A categorized Squidoo directory featuring an interesting variety of different subjects ranging from arts and literature, shopping, and eco friendly tips, to vehicles for sale, travel, and everything in between. Hello. Thanks for this. One correction, if I may. One does not, 'perfection' his mystery. One 'perfects,' it. What a wonderful lens. Extremely helpful to writers! There is a lot I need to learn about this genre: I didn't know a red herring was always necessary. I may just watch Monk and Columbo re-runs, although it is a compelling genre. The Weekend Novelist Writes a Mystery book is probably good - the first one by the author definitely was. Hmmm, A mystery novel is another "to do" on my list. Good information in this lens. I love your advice not to pull the culprit from thin air, I hate it when that happens. Very interesting lens, thank you for creating it. It is very interesting to see how different we look at writing. In our part of Europe a lot of people still believe ability to write (especially fiction) is something divine, out of this world, something you need extraordinary talent for and in America most of people think it is a job very similar to everything else. It is not for everybody and not everybody can be superior fiction writer, but it is something you can learn and you can be at least good, if not excellent at it. You recommend that the beginning writer read a few how to write books, and that is spot on and incredibly important if their going to learn how to make their story work and balance. BUT, it is very easy to get caught in information overload and convince yourself that you can't write that novel until it's perfect! Some very helpful information here - thanks! great write up! love the topic of this article too, whodunit isn't used enough in my book! see ya around. This is a wonderful and insightful lense. Thank you for sharing. Great information. There's so much good stuff here that I know I'll be back to visit. Angel Blessed! I thought I owned most mystery writing books, but I can't wait to read "Don't Murder Your Mystery. I do great first drafts, but re-writes seem to stop me in my tracks. Thanks for the great advice. Excellent lens. Thanks for the choice advice. I've just penned (typed) my first novel, a YA fantasy fiction, and am now in the process of writing an adult mystery fiction. The whole murder-mystery/ whodunit genre is all new to me, so any extra tips I can get will only benefit me. Thanks! I'm working on a mystery novel right now and I really enjoyed looking over your site. Will be back in the future for sure. I want to write a mystery. Very helpful information. Angel blessed. Very helpful. Thanks! Good resources. I think writing a mystery novel sounds so fun. I hope to do that some day. Thanks for all the great links and ideas. You have a lot of really good tips and information here. I especially liked reading through your Golden Rules. I'm a novelist as well, but I've never tackled a mystery. Maybe. Someday. But I LOVE to read a good mystery novel. I enjoyed reading through your lens very much. I've always had a fixation with the idea of writing a mystery novel, too, and have partially written more of them than I want to remember. You've got a good grasp of the subject--when is your first novel coming out? Great Lens! I've always wanted to write a book, but I'm not sure I have what it takes. Great Layout, the lens flows very well and you have some great suggestions.